Custom Printed Kids Solid Classic Sunglasses are a superb choice for making your kids promotions colorful and attractive. Blue, Neon Yellow, Neon Pink, Red, Orange and White are the color choices in which these custom sunglasses are made available. Along with the standard 1 1/2" x 1/4" imprint area in the left arm, an alternative imprint location is made available in the right arm too. 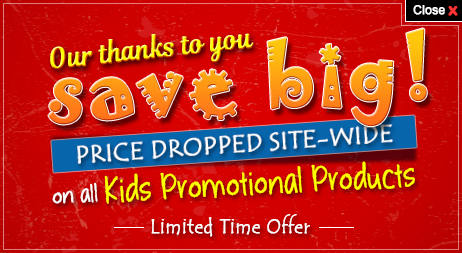 Order these kids promo items quickly to grab our free online proofs and free custom design services. 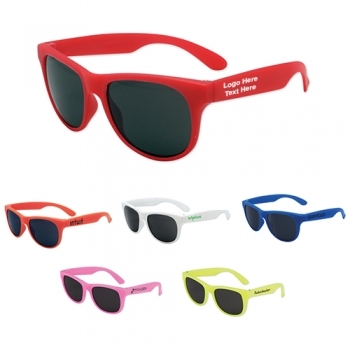 Request a quote to know what you can save on ordering these Custom Printed Kids Solid Classic Sunglasses in bulk. Available Colors: Blue, Neon Pink, Neon Yellow, Red, White, Orange.